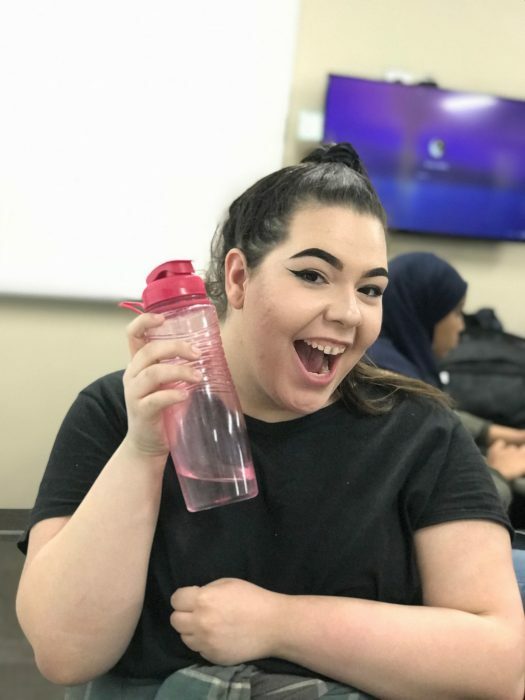 Self Care with Sofia: Drink water! Welcome! This is my first week of doing self-care articles, and I’m going to write about the MOST important tip: drinking water. I know, “That’s so basic! We all drink water!” But are you drinking enough? To calculate the right amount of water that you need to drink, take your body weight and times it by 2. That’s how many ounces of water that you should drink. Drinking water helps with EVERYTHING. Acne, weight loss, headaches, detoxing, getting rid of illnesses, and so much more. Drinking water can help you feel more energized. It is scientifically proven that water energizes our cells, and will make your body work a lot better and faster. Tune in next week for my next self-care tip!